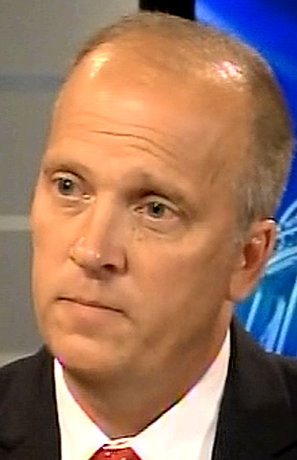 DemoCurmudgeon: AG Schimel argues Walker illegal campaign coordination legal now, retroactively, to US Supreme Court. AG Schimel argues Walker illegal campaign coordination legal now, retroactively, to US Supreme Court. Nothing says political elite than seeing Scott Walker order his Republican Attorney General Brad Schimel to declare his past illegal activity legal. And that's after his march-in-lockstep legislature passed a law allowing campaign coordination with issue advocacy groups, which at the time was illegal. Attorney General Brad Schimel asked the U.S. Supreme Court Monday to reject a review of a halted criminal investigation into Gov. Scott Walker’s recall campaign, Schimel’s filing argues the court should reject the appeal because Walker and the Republican-controlled Legislature have since changed the law making the alleged activity legal and prohibiting the use of secret “John Doe” proceedings in investigating campaign finance violations. “The people of Wisconsin thus made as clear as they possibly could that they wish to put this unfortunate chapter behind them,” Schimel wrote. Walker’s 2012 recall campaign violated election laws regulating coordination between campaigns and so-called issue advocacy groups that have backed Republicans and conservative Supreme Court justices. Apparently Criminal Schimel never read that part in the Constitution about "ex-post-facto" laws, where you can't legalize something after the fact.